A superb drive up the right hand of the finishing straight gave French veteran Sebastien Hinault a surprising but well-deserved stage win in Zaragoza. Calculating his charge in the bunch gallop which decided stage 10 down to the last millimetre, Hinault fended off the pure sprinters – led by Frenchman Lloyd Mondory (Ag2R) – by half a bike length. The first bunch sprint since Daniele Bennati (Liquigas) won nearly a week ago in Puertollano seemed to be made for Tom Boonen. Five Quick Step riders on the front of the bunch with two kilometres to go, with Boonen last in the string, briefly recalled the days when fastmen like Mario Cipollini or Alessandro Petacchi?s team-mates upped the speed so much it left their rivals with no options whatsoever. But a couple of right-hand bends and a sudden acceleration by two Credit Agricole riders – one of them Hinault – seemed to derail the Quick Step train. 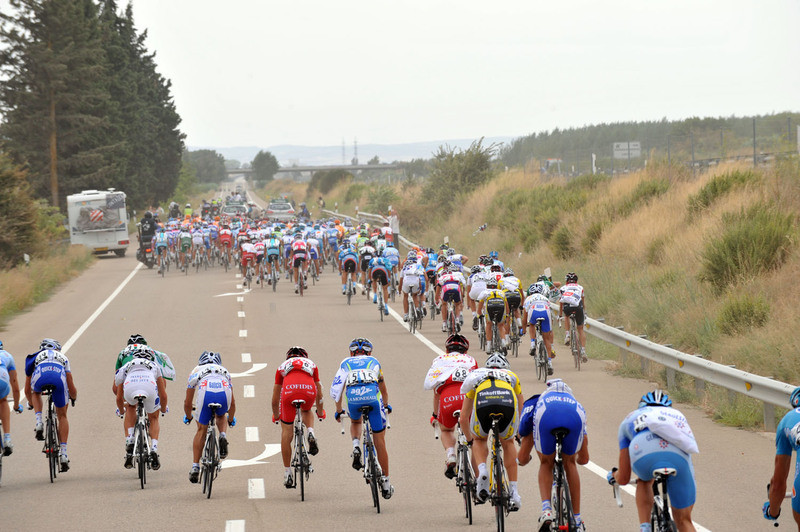 Then a move by former Vuelta leader and late breakaway specialist Filippo Pozzato (Liquigas) caused yet more confusion. Boonen was suddenly boxed in and that left the stage win up for grabs. Hinault kept close to the front and close to the right-hand barriers, and far from letting the sprinters through, upped the pace in the last 200 metres. His acceleration proved just enough to keep the fastmen at bay, and his victory could be one of the last for the Credit Agricole team before one of France?s oldest squads folds at the end of the year. For the 34-year-old Hinault – no relation of Bernard Hinault, by the way, although also a Breton – the victory could hardly be more important. A pro since 1996, his biggest previous win was a stage of the Tour of Germany. In that stage, he pointed out afterwards, he’d also beaten Oscar Freire (Rabobank) and Tom Boonen, fourth and fifth in Zaragoza. The Frenchman was not given a start in the Tour this year in order to allow younger generations to have a chance to shine. But in the Vuelta, Hinault has proved that there is life in the old dog yet. 10. 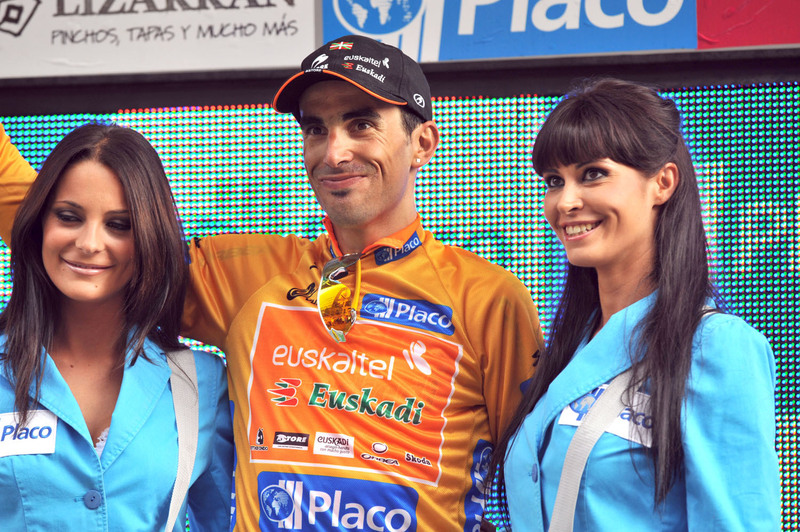 Juan Jose Haedo (Arg) CSC-Saxo Bank all at same time.